docker build -t myth . The analysis was completed successfully. No issues were detected. variables will be treated as concrete values. should be logged to a trace file, as well as path conditions or any error that occurs. 3. Choose an set of input variables to begin with. 4. Execute the native contract code and save the trace file. constraints (including path conditions)for future analysis. 7. Analyze the path condition: generate a new input for all path conditions to fix them. If there is no such input, return to step 6 and try the next execution path. 8. Go to step 4. (counting continuously from position 0), and the stack contents. The memory contents μm are a series of zeroes of size 256. Getting back to Mythril action pattern, to launch trace it has to call the contract constructor as the entire following execution process is determined by parameters in the constructor. For instance, if _price == 0 is used to call the constructor, the require(_price > 0) exception is returned. Also, the constructor will keep on failing despite Mythril’s attempts to try different _price values, as long as _price <= _cancellationFee. This contract has many parameters with strict limitations; by all means, Mythril cannot guess valid combinations for all. Thus, it will attempt to move to the next execution path, sorting through the constructor parameters, but it has almost zero chances to make the right guess, given the huge number of parameter combinations. Therefore, contract upload fails as each action path hits some require(…) and we are facing the above problem. Now we have two options. The first is turning off all “require”-s off, by commenting them out. Then Mythril will be able to use any parameter combination to call the constructor and run successfully. Yet, using random parameters implies detecting random bugs caused by sending invalid values to the constructor. Plainly put, Mythril can detect a bug occuring when a contract creator defines _cancellationFee exceeding the _mprice by million times, but such bug and contract are useless for auditor and Mythril simply waste resources to find this error. If we want more or less comprehensive deploy parameters, it makes sense to set more realistic constructor parameters for further analysis to prevent Mythril from searching for errors that will never occur as long as a contract is deployed correctly. The best way is to use real parameter values, that will be used in future contract deployment. The first string describes the analysis graph parameters. Analyzing alternative execution branches requires huge computational power, therefore auditing larger contracts take time even at powerful PCs. Sending of Ether depends on a predictable variable. are predictable and/or can be manipulated by a malicious miner. Do not use them for random number generation or to make critical decisions. Please note that Mythril found a block.timestamp issue in getCurrentTime(). Broadly speaking, this is not a contract error, but the fact that Mythril relates block.timestamp to ether transfer is really great! A programmer should be aware that the decision depends on values controlled by miners. For example, in case of future development of auctions or other competition , there’s a risk of a front-running attack. Ta-da! Mythril still sees block.timestamp — ether transfer dependence which is really important for an auditor. 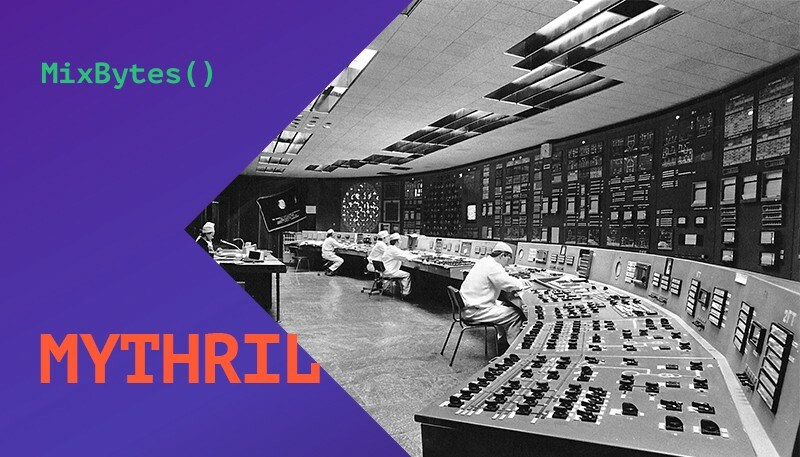 Mythril allows tracking the dependence between the variable and decision making after several contract state changes even if it’s hidden in the logic. However, Mythril is not almighty, it won’t trace all possible variable interdependencies. If we proceed with the getCurrentTime() function and make 3 levels of nesting, the warning will disappear. Every function call demands new state branches and huge resources for analyzing deep code nesting levels. Also, there is a probability I might misuse analysis parameters, and the analyzer still may identify the error somewhere deep inside. As I already mentioned, the product is being actively developed, and while writing this article I can see the commits with max-depth tags in the repository. Please don’t take the current issues too close to heart, we have already found enough evidence Mythril effectively tracks variable dependencies. Anyone can withdraw ETH from the contract account. account without previously having sent a equivalent amount of ETH to it. This is likely to be a vulnerability. Now the collectTaxes() function can be called only when the contract is in State.RENT and there is nothing left on the account, since the contract has already sent ether to the owner. This time Mythril does NOT display the error “==== Unprotected Ether Withdrawal ====”! The onlyState(State.RENT) modifier prevents the analyzer from reaching the branch with sending ether to a non-zero account balance. Mythril went through different parameter options, but State.RENT is only available after all ether is sent to the owner. Therefore, getting to this code branch with a non-zero balance is impossible, and Mythril does not disturb the auditor — excellent result! Similarly, Mythril will trace selfdestruct and assert, showing the auditor what actions could lead to contract destruction or an exception in a critical function. I will omit these examples and suggest testing a similar function causing selfdestruct. Do not forget that Mythril performs symbolic execution analysis that can detect vulnerabilities even without emulation. For instance, any use of “+”, “-” and other arithmetic operations can be considered as “Integer overflow” vulnerability if an operand is at any rate controlled by the attacker. But as I said, the most powerful feature of Mythril is the mix of symbolic and native execution and detecting values for branch conditions. Without any doubt, one article is not enough to describe a full range of issues Mythril is capable of detecting. On top of that, it works in a real blockchain environment, finds necessary contracts and vulnerabilities by signature, builds beautiful call graphs, and edits reports. Mythril allows to write individual test scripts using a Python-based interface, test particular functions quite easily, fix parameter values, or even implement a custom strategy for working with disassembled code. Unlike IDA Pro, Mythril is still a young software, and there’s almost no documentation except for a few articles. Many Mythril parameters are only described in the code (starting with a cli.py). I hope that full and comprehensive documentation with parameter description and their internal logic will appear soon. When the contract is more or less large, displaying error messages takes a lot of space. I would like to receive “compressed” data about detected errors (one error per line), because, working with Mythril, it is necessary to thoroughly track the process of analysis. Also, the useful feature can be the possibility to deliberately remove the errors the auditor knows are false-positives from output. Minimize initial contract conditions. If Mythril wastes its resources on branches that will never be executed, it will miss really important bugs. Always try to narrow down the number of possible branches, if applicable. Make sure the analysis has started, do not ignore the messages like “mythril.laser.ethereum.svm [WARNING]: No contract was created during the execution of contract creation…”, otherwise you may think there are no bugs. You can easily negate code branches, limit Mythril choice and save resources. Try to do without max-depth constraints not to cut off the analysis and be careful not to disguise the error. Pay attention to every warning, add even minor comments to the contract code — make it simpler for other developers. In case you have a specific question regarding the use of Mythril or other automatic tools for your project, feel free to contact us on our website or via Telegram.